The Atlantic Ocean is the world's second largest ocean, and borders South America, North America, Europe, and Africa. 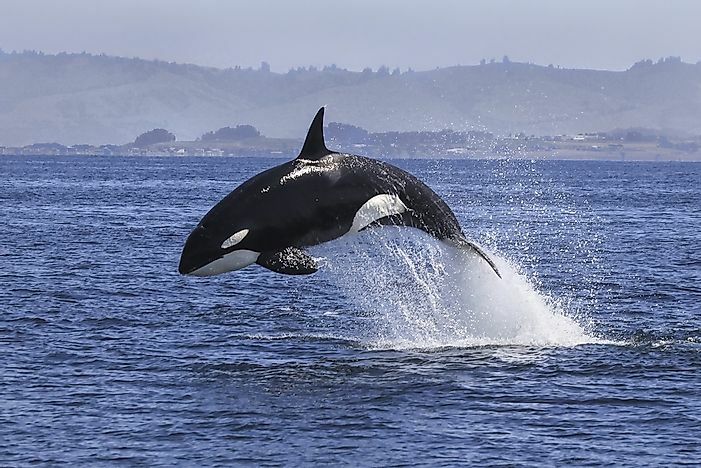 The killer whale, also known as the orca, can be found in the Atlantic OCean. The Atlantic Ocean is extensive, making up about 29% of the total world ocean waters. It is home to a wide variety of aquatic plant life and marine animals, both vertebrates and invertebrates. The following animals have a significant distribution across the wide waters of the Atlantic. The Atlantic walrus species is mostly found between the Canadian Arctic to the east and the Russian Arctic to the west. 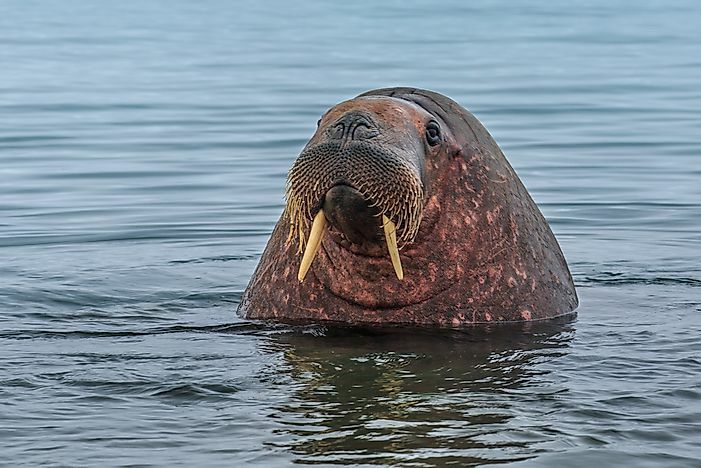 There are about 25,000 walruses in this region with the number of adult walruses diminishing continuously. Marine animals, they are known for their elongated canines that resemble tusks. The animals are very social and are often found in groups. They are also known for their vocal communication amongst themselves. They feed on small invertebrates and their life expectancy is between 30 and 40 years. Dolphins, porpoises and whales belong to the same family. 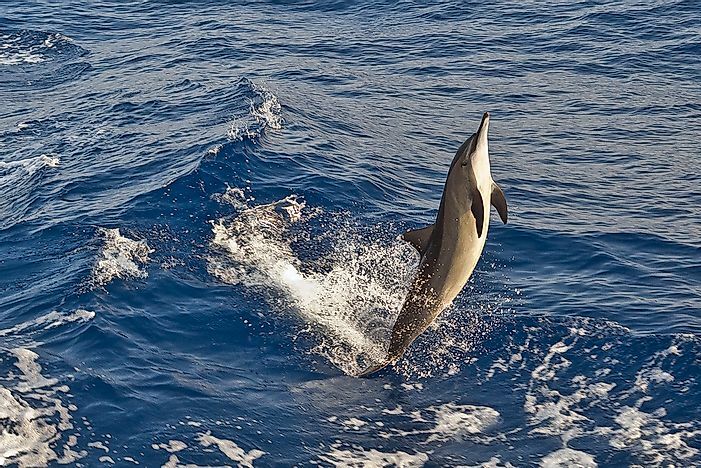 The spinner dolphin inhabits various subtropical and tropical marines around the world and it is known for leaping out of the water and spinning in the air before hitting the water. They squeak and whistle using their blowholes to communicate amongst themselves. These dolphins have teeth although they do not use them to chew food. They are highly sensitive to frequencies and they employ echolocation to map their surroundings and to hunt. They feed on fish, squids and crustaceans. Dolphins are more threatened by humans than other predators. 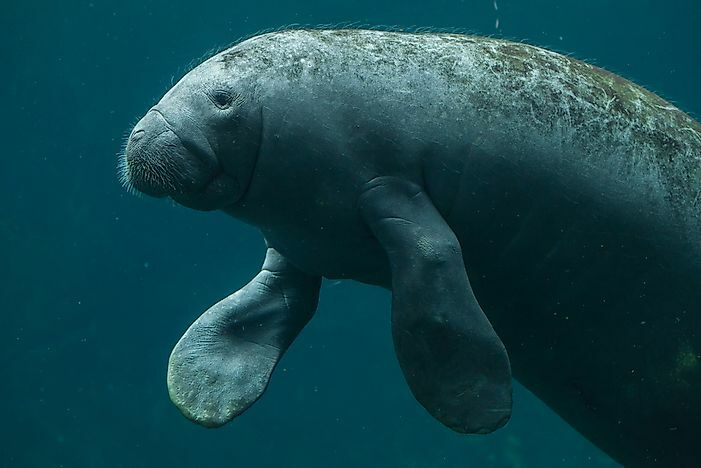 Manatees are also known as sea cows and prefer to inhabit warm waters. They are mainly herbivorous, subsiding on water plants grown in seas. They are large in size and can grow to a length of 4 metres and about 590 kilograms in weight. One of their outstanding features is their flippers which resemble paddles. The West Indian species is mostly found in the Caribbean Sea and the Gulf of Mexico, especially in Florida while the West African species inhabits the West African waters. The species belongs to the class of cartilaginous fish and its population is mostly concentrated in the Caribbean and Mexican gulf parts of the Atlantic. 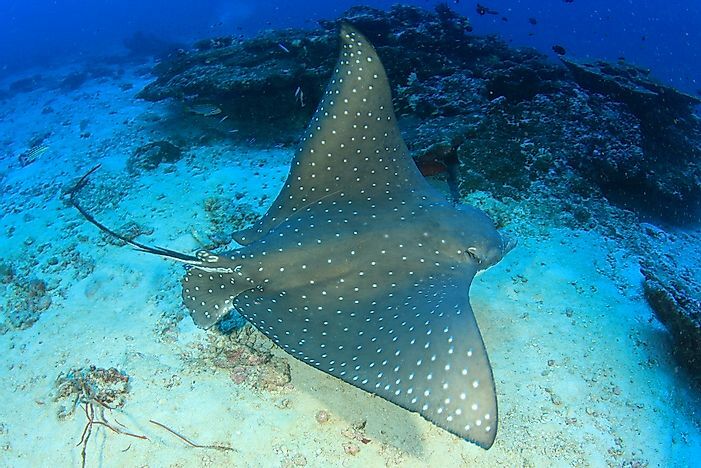 The eagle ray has a longer tail compared to other ray species and its snout looks like the bill of a duck. It preys on crustaceans and small fish and sometimes the ray uses its snout to search for food under the sea bed’s sand. Although they are mostly solitary, sometimes they can be seen leaping in the air. Their population is believed to be near threatened hugely due to predation from sharks. The fish is under threat due to overfishing and it is consumed extensively as sushi. It has high tolerance for disparity in temperatures since it is able to keep warm. Its metallic blue colour blends with its environment and its streamlined body help it in building speed. The tuna preys on herring, mullet, mackerel, squids, crabs and shrimps. 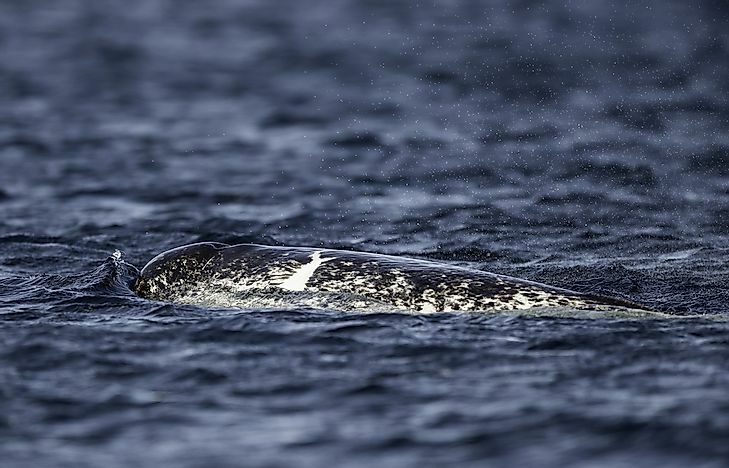 They are known for traversing the Atlantic Ocean severally each year. The largest bluefin tuna ever caught in the Atlantic weighed 679 kilograms! These sharks are endothermic and on top of the five common senses, they have electromagnetism sense. They have 300 large and serrated teeth which are triangular in shape for biting their prey. They are the largest predators in the oceanic waters and feed on other sharks, sea lions, seals, sea turtles, carrion and fish. The life expectancy of the great white shark is 60 years but their slow maturity process puts their population under threat. 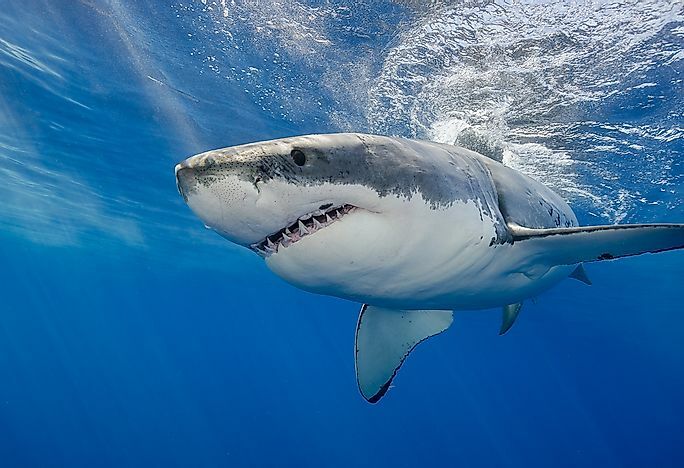 The shark can grow up to 6 metres in length and weigh a maximum of 2,268 kilos. Gyer Island in South Africa records the highest population. 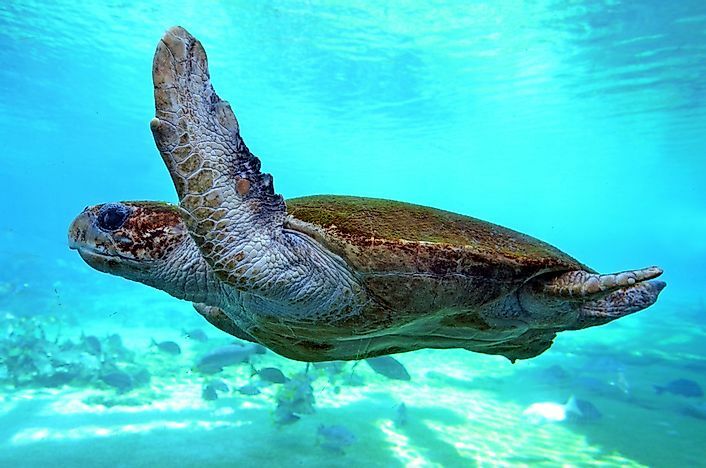 Green sea turtles are reptiles. Their name comes from a green deposit of fat under their shell. Their carapace is smooth and their colour ranges in various shades of yellow, green, gray, black or brown. Of all turtle species, the green turtle has the largest shell and it also changes colour after sometime. They use their arms to swim. 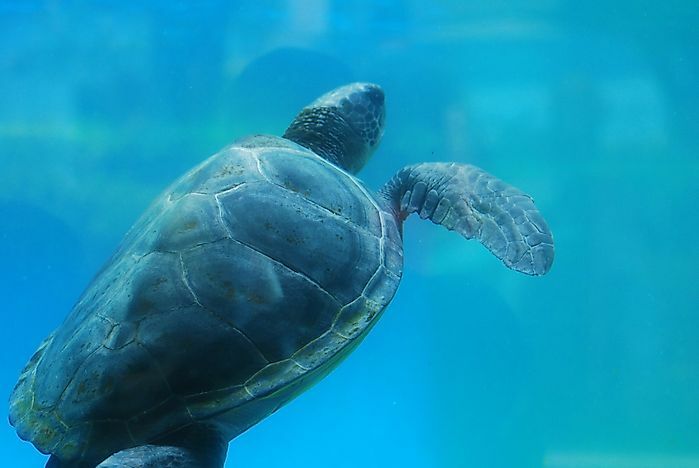 While young, their diet is both herbivorous and carnivorous although the adults are primarily herbivorous, which distinguishes them from other marine turtles. On average, they grow up to 1.5 metres in length and about 68 to 190 kilograms in weight. It is sometimes called the leathery turtle and it inhabits the southwest, southeast and northwest parts of the Atlantic. It can be found in deep waters of up to 1,280 metres. It is larger than other turtle species and its shell is less hard making a bit flexible. It preys in colder waters and its fore flippers exceed those of other turtles in length. They are largely anti social and they do not take care of their young ones after hatching. The animal is carnivorous and preys mainly on salp, jellyfish as well as crustaceans and fish. The name is derived from the dorsal fin of this whale which looks like a hump. They cover more distance in migration compared to other mammals, mainly for reproduction and feeding purposes. 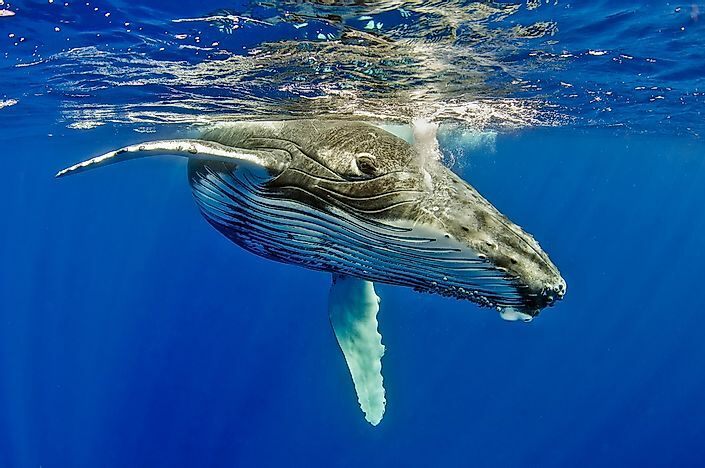 They feed on fish, plankton and krill and can eat up to 1,360 kilograms daily. They can weigh between 22,000 and 36,000 kilograms and they grow to about 18 metres in length. Females of this species grows larger compared to the males. Their bodies are long and streamlined and their pectoral fins are longer than those of other cetaceans. The tusks on the animals are usually overgrown left canines but in some cases the right canine tooth may also develop into a tusk hence the animal will have two tusks. They lack dorsal fins but have irregular ridged extensions. On average, these animals can weigh between 800 to 1,600 kilograms and attain a length of between 3.95 and 5.5 metres. They use their tusks as sensory organs. They also use echolocation. 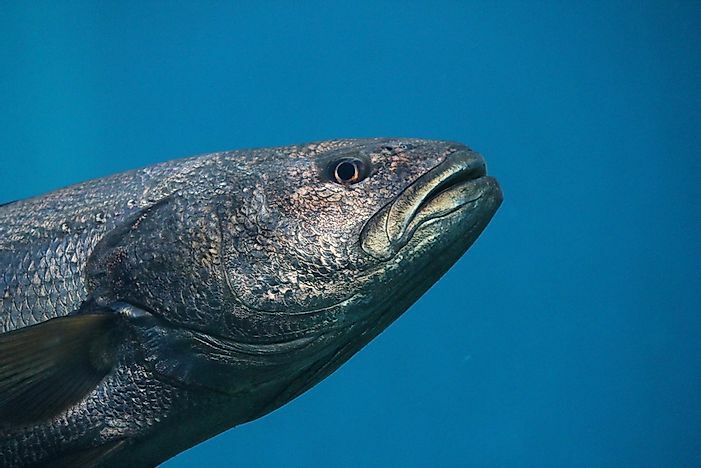 They feed specifically on arctic and polar cod and halibut, shrimp and squid found in Greenland. They are threatened by walruses, polar bears, killer whales and humans. 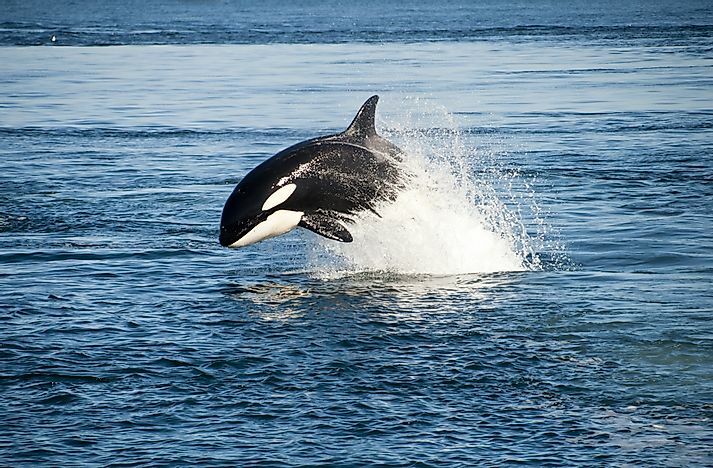 The killer whale is also called the orca whale and it is the largest animal from the family of dolphins. They use their large pectoral fins as propellers and they have a fat deposit under their skin called blabber that they use for insulation. They are hugely cosmopolitan - meaning that they experience a very large range - ranking second after human beings. They are carnivorous and prey on almost all animals including sea birds, seals, fish, marine mammals, sea lions and squid. There is no known natural predator of this species. The adult killer whale can reach a length of 9 metres and an average weight of 3,600 to 5,000 kilograms. 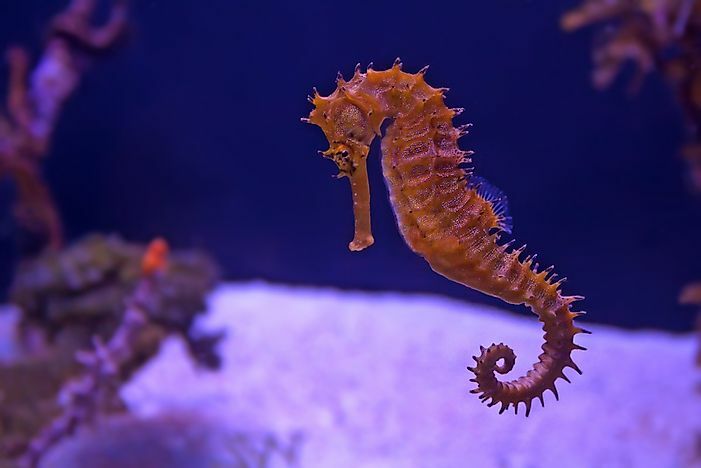 A sea horse is a bony fish and it belongs to the same class with other fishes such as tuna and salmon. They have a thin skin instead of scales and the crown-like spines on top of their heads are called coronets. They also lack teeth and a stomach hence they feed by sucking prey through a fused jaw and passing through their incompetent alimentary canal. They consume plankton and little crustaceans. They are able to camouflage by changing colour. Their breeding behaviour is peculiar since it is the male that gives birth. 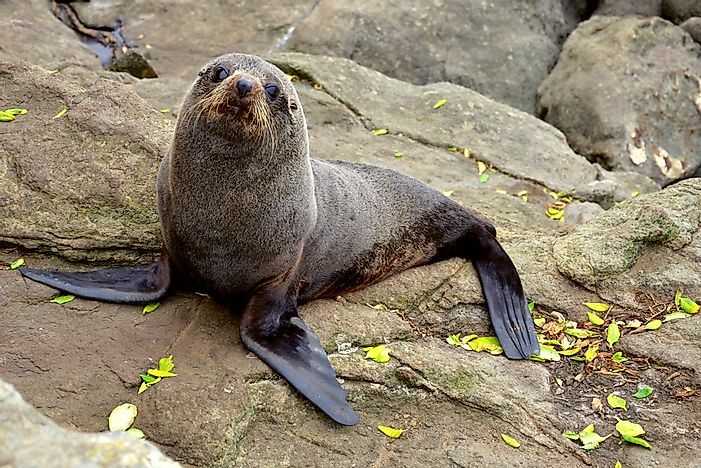 The species occupies the Cabo blanco and Madeira areas of the Atlantic waters and it is the rarest of all pinniped species. Its population globally is estimated to be less than 700. They have short, flat and broad snouts with upward facing nostrils unlike other seals. They also have short flippers with tiny thin claws and four retractable mammary glands on their abdomen. They have short hair which is replaced every 6 to 8 weeks. They feed during the day consuming various fishes and squids, eels and octopus. Their life expectancy is a maximum of 45 years. It is the second largest penguin species and it lives in the southern part of the Atlantic. 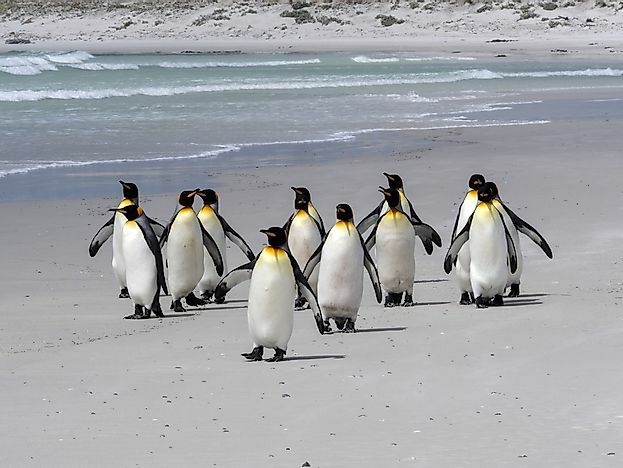 While standing the penguin can measure up to 1 metre and it can weigh between 9.3 and 18 kilograms. It feeds primarily on fish and sometimes on squid. The penguin can dive to between 100 and 300 metres below the sea to hunt and can stay under water for 5 minutes before resurfacing. It is a flightless bird like other penguins and it either walks or slides on ice. The main predators of the species include aquatic mammals and other birds. The species occupies shallow waters not far away from the shore. Their name comes from the yellow brown to olive green colour of their torso. Their snouts are short and round. Their sense of sight is poor while that of smell is heightened. They are night hunters and they use smell and an electro-receptor system to locate prey. They eat bony fish, seabirds, smaller sharks, crustaceans and molluscs. 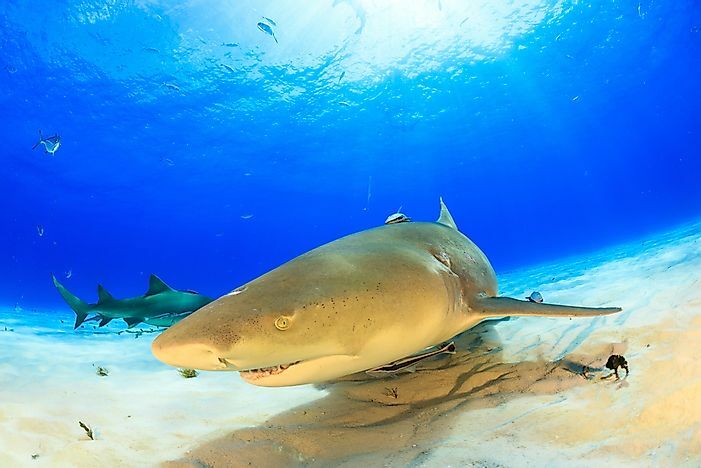 These sharks can grow as heavy as 250 kilograms and attain a length of 2.5 to 3 metres. What Animals Live in the Pacific Ocean? How Many Fish Live in the Ocean?